I try to keep good company. I try to keep good company. So I just don’t see how I can visit the White House on our next vacation. We’ll be taking a trip to Washington DC soon, and I just can’t work up the nerve to get a tour of the White House. I’m sure there are a lot of good, law abiding people who visit the White House. But there seem to be a steady stream of criminals in and out of there too. Al Sharpton owes MILLIONS of dollars in back taxes and has been invited to visit the White House OVER SEVENTY times since Obama took office. Remember that the next time Obama talks about “sharing the wealth”…..Everyone needs to do their fair share except his buddy Al. Al Sharpton is a criminal, who’s been repeatedly been invited to visit and act as a consultant to the leader of the free world. 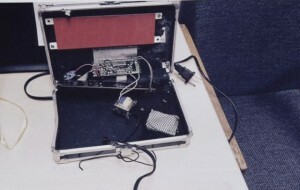 Most recently, Ahmed Mohamed was personally invited to the White House after building what any sane person would think is a bomb and then bringing it to school. Obama actually tweeted that it was a “cool clock”…..BWAHAHAHAHAHA. It’d be sad if it weren’t so outrageous. The WH Press Secretary accused Ahmed’s teacher of “failing him”. While our President repeatedly slaps all of normal America in the face, over and over and over again, he keeps inviting the dimmest and dumbest in our country over for supper. It’s a shame too. We’re going to be driving all the way to DC and visiting national monuments, historic bridges, battlefields and national parks and I couldn’t be more excited. But the thought of even walking by the White House just turns my stomach. Eric: Think about this: you could walk by the White House viewing it for the historic value and not the contents within. Enjoy your trip. I agree with the first reply. Walk around and use it as a history lesson but be sure to lay a ring of prayer for our country.